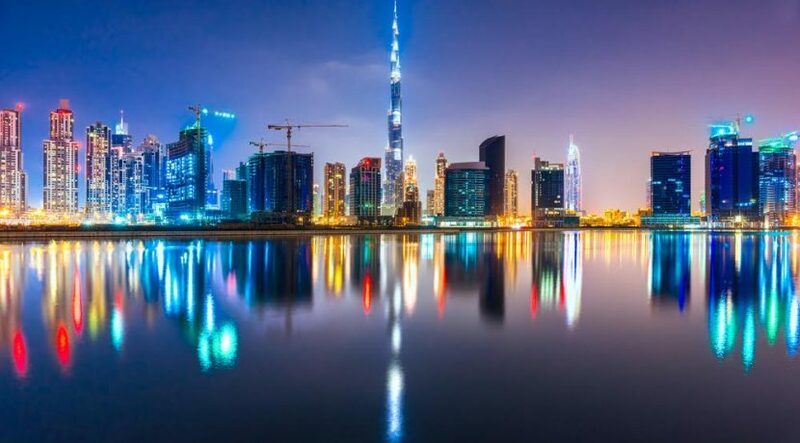 The $545 million Dubai Water Canal Project will change Business Bay and associate the region with the Arabian Gulf more than three stages that are set to finish October 2016. The task will incorporate another strip mall, four hotels and 450 eateries and in addition an extravagance housing and cycling ways. The canal itself will measure six meters deep, while scaffolds will be bridges will be built eight metres high to allow the passing of yachts and marine craft. 2. Museum of the Future. 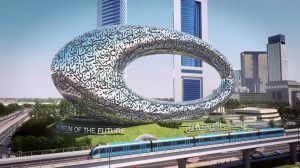 Launched by His Highness Sheikh Mohammed bin Rashid Al Maktoum, Vice President and Prime Minister of the UAE and Ruler of Dubai, Museum of the Future, will house a percentage of the world’s most recent creations and will be a cornerstone of the emirate’s focus on innovation. The round-shaped building will be located alongside the Jumeirah Emirates Towers near Dubai International Financial Center (DIFC). In addition to become a major tourist destination, the Museum will offer advanced courses and concentrated workshops, and additionally public talks and events. It is expected to cost more than $200m and and the completion date in 2017. The $816 million Jewel of the Creek project will consists of a monstrous waterfront complex, highlighting 19-story flat apartment buildings, three office towers, two luxury hotels, a recreation centre and a convention centre with a ballroom, and additionally a marina and a huge number of retail spaces for shops and eateries. 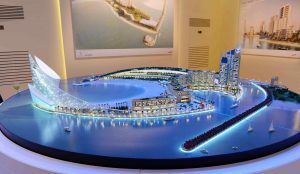 The project, which is scheduled for completion in the first quarter of 2017, will be located between Al Maktoum Bridge, Baniyas Road and the Floating Bridge covering 123,955 square meters of area. The $3 billion Habtoor City, planned for completion in 2016, will highlight three top of the line hotels – managed by Starwood Hotels and Resorts Worldwide (St. Regis, Westin Dubai and W Dubai Sheik Zayed Road) – and in addition three extravagance private towers. This amazing development, which will be located on a 10 million square foot plot on Sheik Zayed Road, will contain dining venues, a French-inspired garden, a famous Las Vegas style water theater and the world’s first Bentley cafe. A 15.3 square km waterfront city, paves the way for hundreds of new hotels, serviced apartments, mixed-use buildings and marinas. 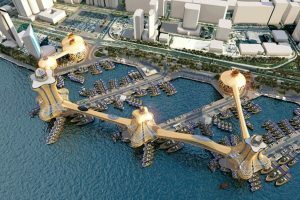 featuring four islands, the project’s host of attractions will incorporate an extensive shopping center; an Arabic souk-style night market, an amphitheater for 30,000 people and a marina that can accommodate large yachts. While, three hectares of the venture – which is planned to be finished by Q3 2018 at an expense of $150 million – dedicated to hotels and resorts. 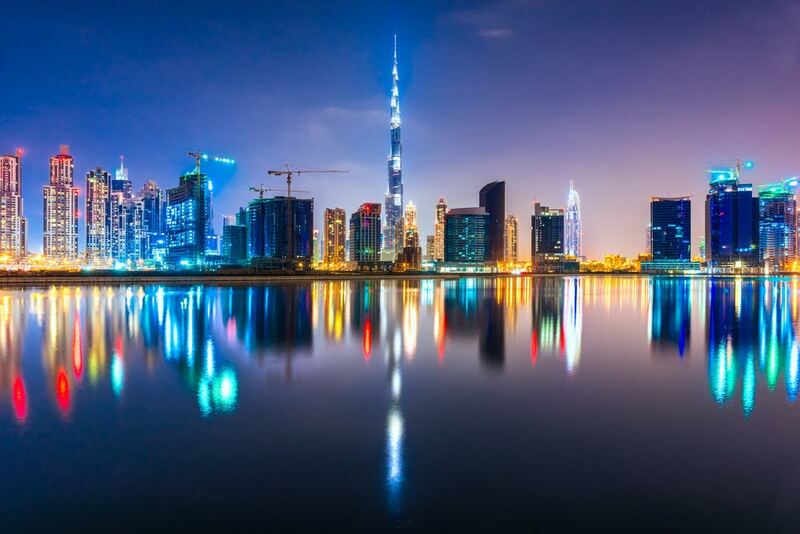 Located within minutes of the Burj Khalifa and Dubai Mall, the ‘super luxury’ District One project is spread over 440 hectares, with more than 60 percent of the total area being allocated to green and open spaces. The low-density project boasts a 7km-long ‘Crystal Lagoon’ for swimming, kayaking and other activities. 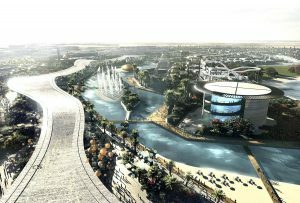 The project will also feature 14km of artificial beach walk and 8.8km of cycling and jogging track on the periphery. 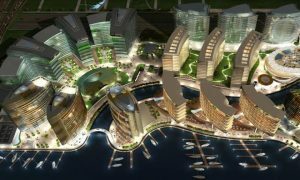 Dubai Municipality has begun the implementation of the New Aladdin City project in the middle of Dubai Creek. The project, which is inspired by the known stories of Aladdin and Sinbad, will feature three towers, including commercial and hotel space, spread over a distance of 450 metres. It will also have air-conditioned bridges with moving floor to connect the towers, driveways and parking lots. The project contains a 150m-high, far reaching structure resembling a huge picture frame. 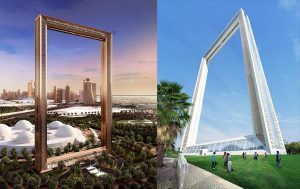 located close to the Star Gate games and rides area of Zabeel Park, the frame will boast panoramic views of Old Dubai from one side and the skyline of New Dubai from the other side. 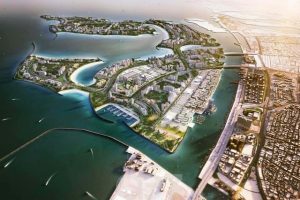 The AED6 billion Bluewater Island, situated near Jumeirah Beach Residence, is set to be one of the biggest visitor hotspots on the planet. 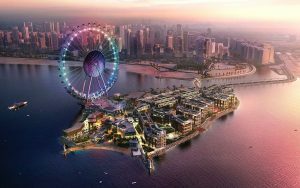 Set to pull in an expected three million guests for every annum, the island will the Dubai Eye – the world’s tallest Ferris Wheel. 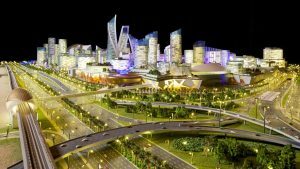 Dubai Holding’s plans for a massive indoor city and shopping complex four times the size of Dubai Mall are well publicised. Consultants for the estimated $6.8 billion project were being hired towards the end of 2014 and the first phase is expected to complete within three years. 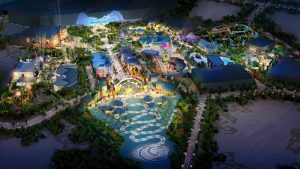 The scheme, expected to cover 48 million sq ft, will also house the world’s largest indoor theme park, covered by a glass dome that will open during the winter months, around 100 hotels, a wellness zone, serviced apartment buildings and 7km of climate-controlled promenades, something that is offered nowhere else in the world. Once completed, the development is expected to welcome around 180 million visitors annually.